The middle of summer finds most of us in automobiles and airplanes as we travel to visit loved ones and explore the world (or our neighborhoods!) 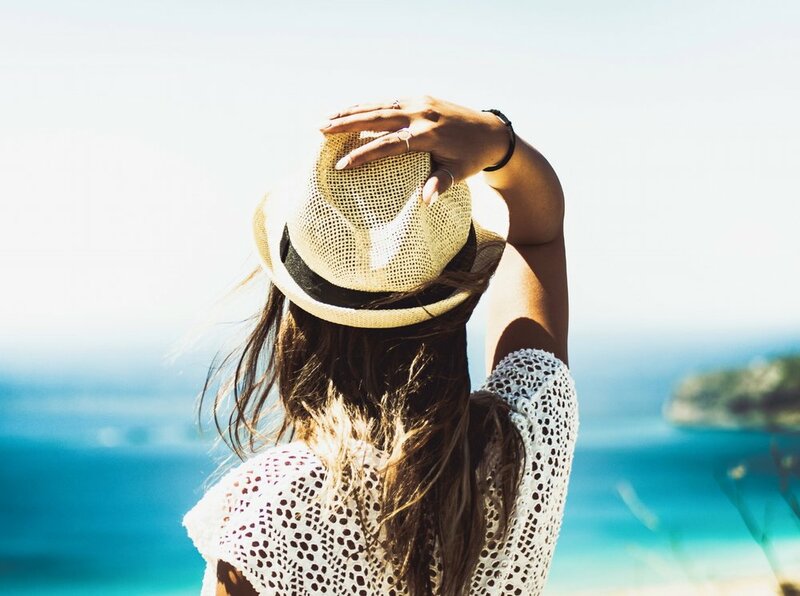 Before you pack up for your next trip this summer, check out some of these great finds that make travel a little less stressful and a lot more fun. How many of us have left chargers in hotel and guest rooms? It’s one of the easiest things to forget that creates a huge headache. Keep all of your cords, cables, and chargers neatly organized in this stylish and compact travel cable organizer. $11.69 at Amazon. For more details, click here. Carrying a debit card instead of cash while travelling can make life less stressful, but unfortunately, it can also make it easier for identity thieves to steal your information. This sleek leather wallet (available in 4 colors) not only protects the magnetic stripes on your cards from wear and tear, but it also protects them from unauthorized scans to keep your bank account safe. $12.98 at Amazon. For more details, click here. Getting real sleep on an airplane or in a car is finally more than a pipe dream—this travel neck pillow provides head, neck, and chin support for added comfort. The flat back keeps your head from being pushed forward, and the "snap-strap" easily attaches to your purse, backpack, or suitcase. $29.95 at Amazon. For more details, click here. What's the next best thing to getting the TSA precheck fast pass through security lines at the airport? TSA approved see-through travel bottles to make going through security a breeze. Even better, these bottles are leakproof to avoid toiletry bag spill catastrophes. $13.95 at Amazon. For more details, click here. 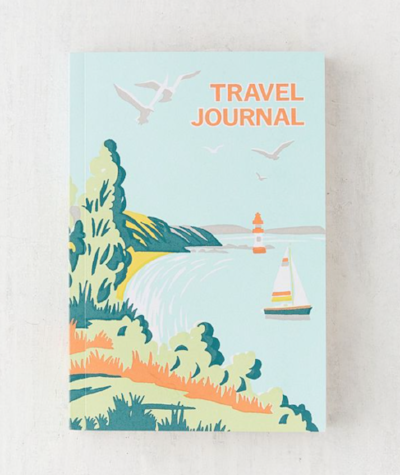 Treasure the vacation memories you made with family and friends this summer in this soft-covered journal that features recycled paper pages and glassine memento pockets for all those ticket stubs and postcards. $16.95 at Urban Outfitters. For more details, click here. It's more fun when everyone in your group can jump in the pool or ocean without someone having to stay back to watch any valuables. This indoor/outdoor safe features a heavy-duty flexible steel cable that can securely lock around almost any fixed object along with a 3-digit combination code. Key also included. $44.95 at Amazon. For more details, click here. No matter how many times you check the weather forecast, there’s always a chance of being caught by surprise by rain showers. Next time, you’ll be prepared with this durable umbrella that only weighs 345 grams. $11.99 at Amazon. For more details, click here. Save precious vacation time from untangling necklaces with this simple and compact travel jewelry box organizer. It gives earrings, rings, necklaces, and bracelets their own compartments so everything stays in place and tangle-free. $10.99 at Amazon. For more details, click here. 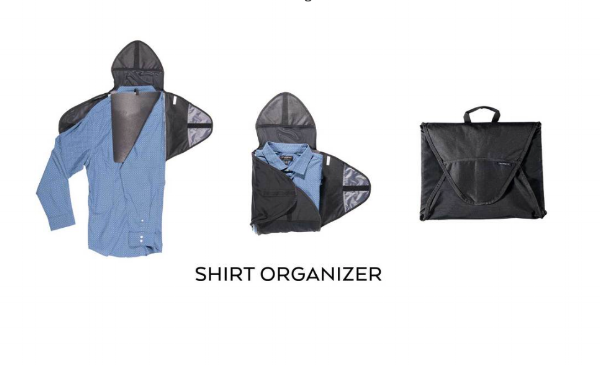 Keep your dress shirts and pants organized and winkle-free with this shirt organizer by one of our favorite travel brands, Nomatic. Just because you’re travelling doesn’t mean you can’t look sharp—this shirt organizer will help you do just that! $29.99 at Nomatic. For more details, click here. This keyless padlock is TSA-approved and lets you open your luggage with your phone. You can also track your luggage when in Bluetooth range so you’ll always know when it’s about to come down the airport carousel. $57 at Amazon. For more details, click here.